Quality Woodworking & Metal Working Professional Grade Tools, Equipment & Accessories serving the Midwest for over 50 years - A-Line Machine Tool, Co.
A-Line Machine & Tool serves Western Wisconsin, Southeast Minnesota and Northeast Iowa with quality woodworking and metal working professional grade tools, equipment and accessories. Located in La Crosse Wisconsin, A-Line is able to easily provide service to Rochester, Winona and Red Wing Minnesota, Dubuque, Waukon and Decorah, Iowa as well as Eau Claire, Prairie Du Chien, Tomah, Sparta and Black River Falls Wisconsin. A-Line can also ship to anywhere in the United States. 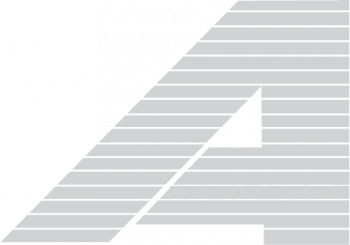 A-Line is an authorized Sawstop, Jet, Powermatic, and Delta distributors in the area, providing table saws, band saws, lathes, milling equipment, jointers, planes, drill presses, sanders, mortisers, and more in both standard and benchtop models. A-Line as well sells used equipment of various makes and models. A-Line is also an authorized repair shop for Delta, Jet, Powermatic, Dewalt, Porter Cable, and Black and Decker. Repairs can be made at the customer location or at the La Crosse office depending on the situation. Carrying Freud, Kreg, Woodstock, Teknatool, Nova, Shopfox, Fastcap, Oneway, Easy Wood and others, A-Line is the hub of wood working enthusiasts in the Tri-State area. From pen making supplies, clamps, Forstner bits to sanding pads, we have almost anything a woodworker would need to finish a project or get a new idea. 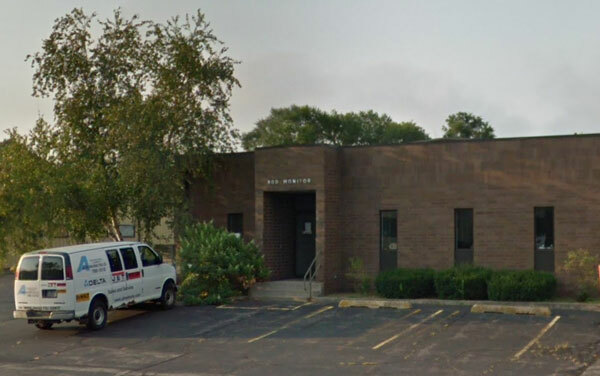 A-Line Machine & Tool has tooling from Seco, Kennemetal, Toolmex, HTC, Regal, Dapra, Dadco, Michigan Pneumatic, Advanced Tooling, Pioneer Toolholding, Command Tooling, Republic Drill, Korloy, Onsrud and more. A-Line can provide metal working equipment such as Lathes, mills, brakes, slip rollers, and more from Clausing group, Grob inc., Tennsmith, Edwards, W.F. Wells, Sharp industries, Jet industries and Kalamazoo Industries. A-Line can provide air compressors of various sizes from Dewalt, Porter Cable, and Ingersoll Rand. A-Line is a distributor of Norton, VSM, SIA, Craft Supply, Woodstock, Precision Abrasives and Porter Cable abrasives in disc, belt, sheet and wheel forms. These can be used for sanding, grinding, polishing and finishing for projects great or small. As a distributor of Dubois/ Perkins Chemicals, A-Line can provide 325-gallon totes, 55-gallon drums, and 5 gallon pails of lubricants, oils, cleaners and other chemicals needed for industry. A-Line also provides Holokrome Socket head cap screws, Button head cap screws, Low head cap screws, flat head cap screws, standard and oversize dowel pins, shoulder screws and set screws as well as both long and short arm hex keys in metric and English sizes. A-Line has safety equipment as well. With access to Boss and Magid gloves, Fastcap and Dust Be Gone face masks, Pushsticks, push blocks, head gear and faceshields, A-Line can help make almost any area safe to work in. 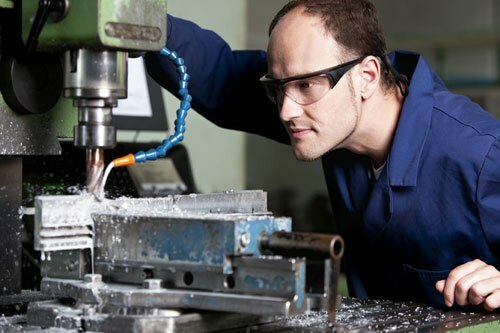 A-Line Machine Tool Company is proud to offer the largest selection of professional grade metalworking tools. A-Line Machine Tool Company is proud to offer the largest selection of professional grade wood working tools. 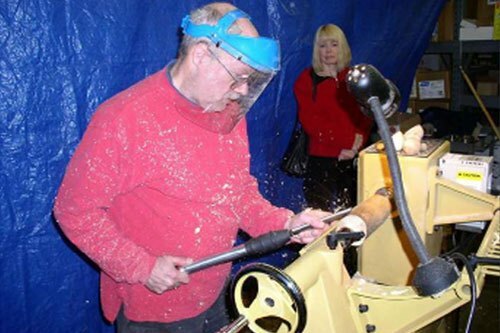 Free woodworking seminars held at A-Line Machine Tool Company! Whether you are new to woodworking or have years of experience, learn step-by-step techniques! At A-Line Machine Tool Company our mission is simple. 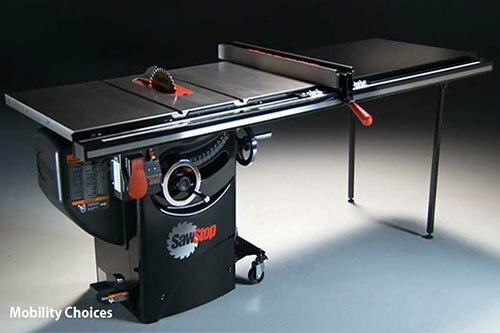 We provide our customers with the largest selection of quality metal working and wood working tools and equipment. Our professional staff has qualified knowledge on the products we sell. The benefit to you is knowing that you are purchasing the right tool for your project. Our customer service continues after the purchase. Whether you need metal working parts or accessories, wood working parts or accessories or have questions, our staff will have your back! If you have any questions, comments or would like to inquire about a specific tool or equipment please click below.